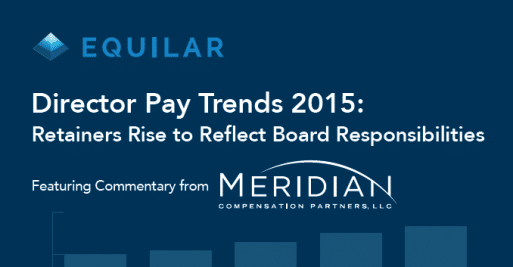 Meridian and Equilar, Inc. analyze recents trends that explain the rising pay of directors. The following excerpt is a collaboration between Meridian Compensation Partners and Equilar, Inc. To request a copy of the full report, visit Equilar’s site. Boards of directors sit atop the corporate structure, responsible for hiring executives, shaping strategies, and ensuring their companies meet regulatory and corporate governance standards. 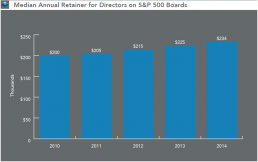 Due to an increased focus on shareholder engagement and outreach, the effort required to recruit and retain board and executive talent, and the valuable skill sets, leadership and experience directors bring to the table, these individuals have seen increased compensation in recent years. 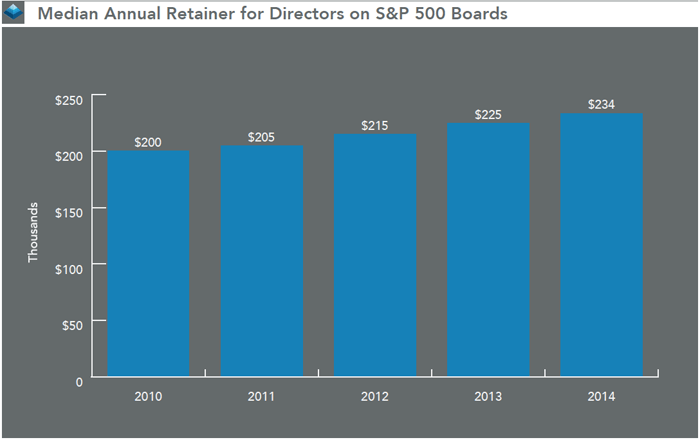 Indeed, the median retainer for S&P 500 directors has increased 16.8% in the past five years, reaching $233,600 in 2014. In contrast to executive pay, however, directors occupy the precarious position of setting their own compensation levels. Alongside additional scrutiny directors themselves have faced in a more complicated corporate environment in recent years, director pay has been placed under the microscope. Activist shareholders have gone so far as to litigate regarding excessive director pay, highlighting the importance of setting meaningful limits on board compensation levels. Not only must directors make pay decisions for themselves and fellow members, but they also decide on premiums paid to individuals in leadership and committee roles. In particular, non-executive chairs, vice-chairs, and lead independent directors typically receive extra pay for their additional duties and expertise. Similarly, it is common practice to pay premiums to directors who serve on committees, most commonly those sitting on the audit, compensation, and nominating & governance committees. Those charged with setting director pay levels help ensure their board members are compensated appropriately in a competitive marketplace while properly balancing the spectrum of stakeholder interests—a straightforward, but hardly simple, task. 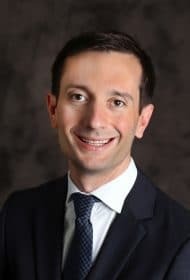 As shareholder fiduciaries, directors must account for the interest of additional stakeholders, ones that have the authority to hire and fire board members. Since the financial crisis of 2008, the board’s role in company management and accountability to investors has magnified the importance of electing fastidious members and compensating them accordingly. This report examines board, leadership and committee compensation at S&P 500 companies over the last five fiscal years. 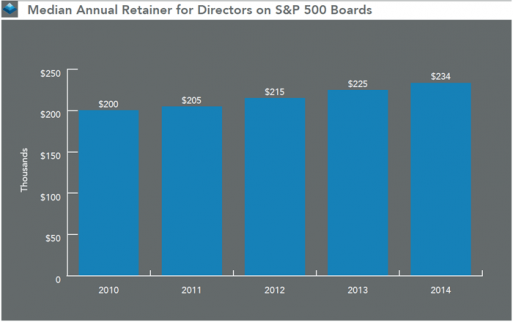 In contrast to rising annual retainers for members, meeting fees are decreasing in prevalence, and now fewer than one-quarter of all S&P 500 companies offer them—a reflection of directors’ responsibilities expanding into significant professional obligations. Meanwhile, though cash remained the most popular form of director pay, units have gradually replaced options awards for equity. For a copy of the full Director Pay Trends Report, including commentary from Meridian senior consultant Matthew Wolfson, visit Equilar’s site.